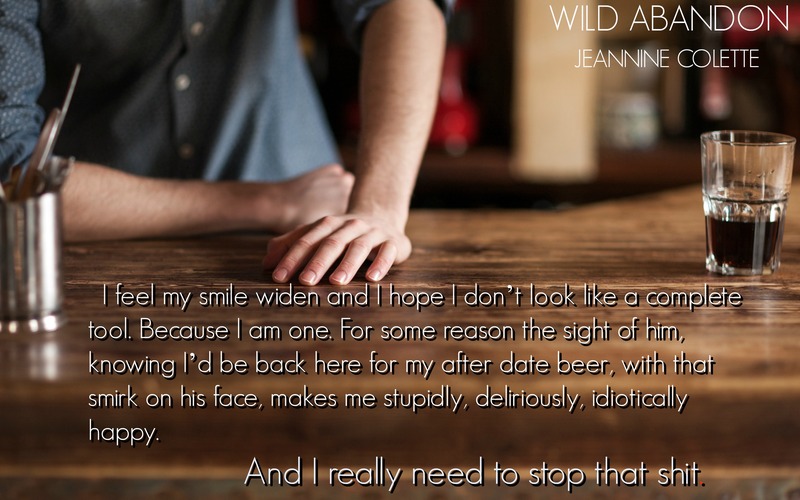 Here is a sneak peak inside the pages of Wild Abandon. Enjoy! And, suddenly, the spell is broken. Did I just tell him that? He is looking from side to side, clearly trying to figure out if I’m telling the truth or if I’m a stage-five clinger. Again, Nate is just staring. He awkwardly takes my hand and shakes it. His mouth is turned up on the side, and those damn eyes twinkle in a mischievous way. I turn around to face him again. I nod and walk out the door, and I keep walking until I am at the corner and slap my palm to my forehead.